I’ve decided I think I should run a charity shop. 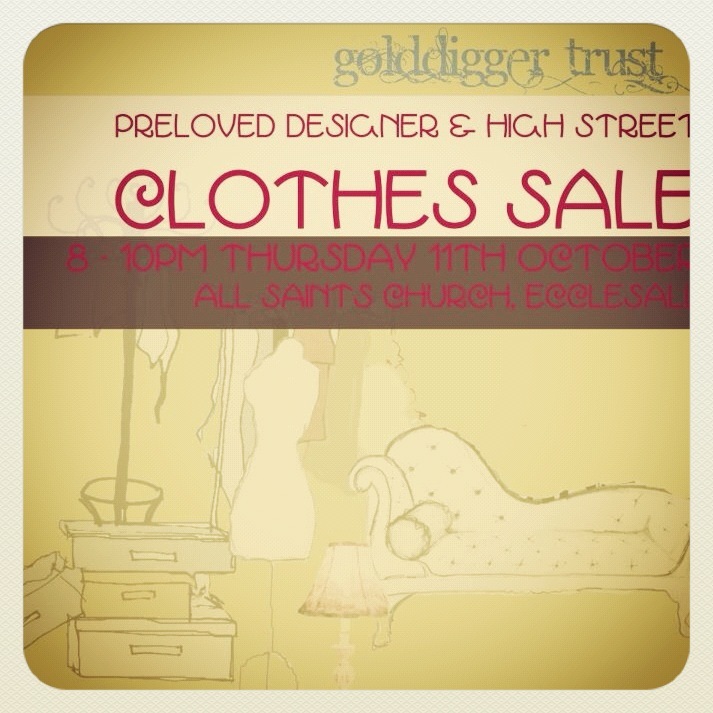 Over the past few weeks I’ve had friends and mums and ladies I don’t know all delivering their unwanted clothing round to my house all to be labelled up for our first ever Golddigger Trust Preloved Clothing Sale. I stole the idea from the school PTA who annually run a togswap to raise funds for the school with childrens clothing but we just decided lets do this for women, in an evening with wine and music and with all of those clothes that are just TOO NICE to throw in a charity bag – and too expensive… so they get a percentage and a percentage goes to the charity. Its amazing. 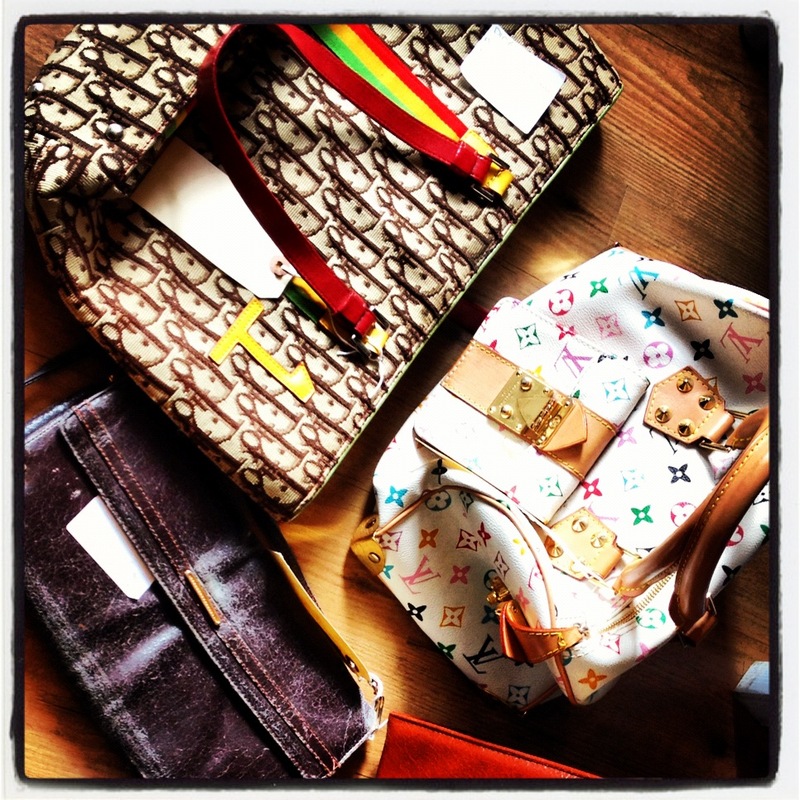 I get to organise Versace tops and Louis Vuitton bags and although it is everso slightly appealing to my shopaholic nature and I might just BUY EVERYTHING BEFORE THE SALE EVEN STARTS… I also want there to be lots of goodies to make a really exciting night for everyone else…but if I do treat myself just a little bit I know it will be going right into the charity I am extremely passionate about! Win win!